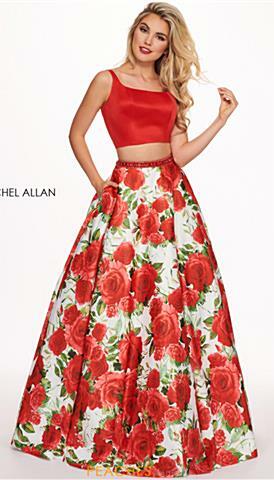 Established in 1985, Rachel Allan is a prom and homecoming line that has been worn on the red carpet by numerous celebrities including Carrie Underwood at the CMA's, this line has also graced magazine covers such as Seventeen and even Life Magazine. The collection features a range of silhouettes to select from for your dream prom dress. Rachel Allan keeps in mind that trends evolve each year and strives to present the most innovative styles. Be right on trend with two-piece dresses; whether you want a pleated ball gown skirt or satin mermaid fit and flare bottom. 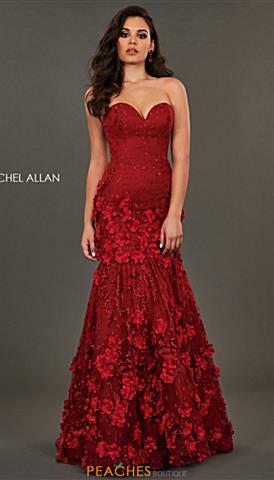 Rachel Allan understands homecoming dresses should not only be glamorous but comfortable as well. They offer classic chiffon gowns with empire waistlines or A-line skirts that are universally figure flattering. Rachel Allan features a plus size line ranging from 14W-30W that compliments the size and shape of any girl. 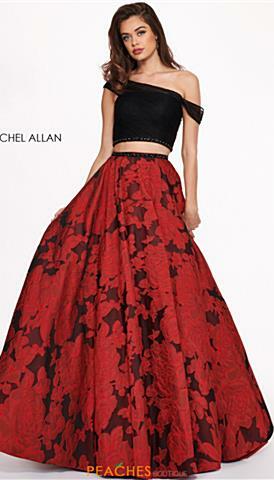 If long gowns are not your liking, you can choose from a selection of short dresses whether you want a fun and sassy tulle dress or mini jersey fitted piece perfect for after prom or any other high school dance. Shop our amazing selection of Rachel Allan homecoming dresses today and be set for an unbelievable night. Rachel Allan is a very versatile designer that has something for everyone. Celebrities such as Shanola Hampton from Shameless, Christina Milian, and even Carrie Underwood have been seen sporting gorgeous Rachel Allen dresses. Pageants across america are also fans of Rachel Allan, from teen pageants to Miss Universe. These dresses have a wide range of styles from long to short, fitted to flowing, and simple to elaborate. No matter where you are going or what you are looking for, there is sure to be a perfect style for you. 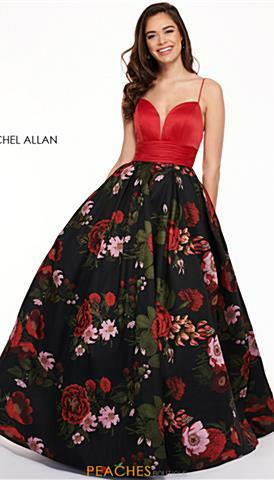 If you are looking for a trendy 2019 Rachel Allan prom dress, you can choose from tons of new styles with contemporary details. Colorful beadwork, bold florals, and glittering fabric can all be seen in the new season's collection. If dresses aren't your style, there are many jumpsuits and rompers to choose from. Pick a playsuit with a flowing overskirt or a more ornate look with head to toe beadwork. 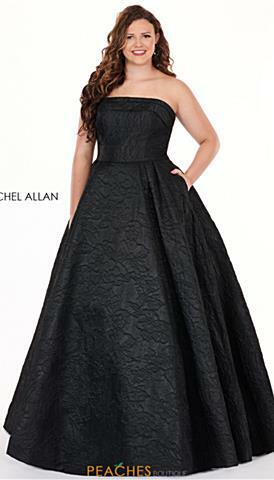 Rachel Allan homecoming dresses are also a popular choice, with many short options to choose from. This designer has a perfect mix of sophisticated and youthful styles, so no matter the theme of your event you are sure to fit the part. With so many styles to choose from, the better question is who doesn't wear Rachel Allan?